Homepage > Blog > articles > Cold Laser Therapy. Is it the Right Treatment for you? Here at the Back and Neck Center of Brick, we are proud to offer our patients Cold Laser Therapy to help manage their pain. We have found that Cold Laser can potentially provide pain reduction or pain relief in some cases. This therapy in combination with other treatments may help patients avoid costly and potentially dangerous pain killing drugs or surgery. WHAT KIND OF CONDITIONS CAN THIS HELP WITH? Cold laser therapy utilizes wavelengths of light that have the ability to pass through layers of skin. This light can eventually mobilize the light sensitive elements in the cells to promote healing. This therapy can be performed to help eliminate pain, swelling, reduce spasms and aid functionality. Physicians have been performing Cold Laser Therapy on patients for several years now. Since 1967 there have been over 2,500 clinical studies performed worldwide! Most of these studies were double-blinded, placebo-controlled and have proven time and time again that Cold Laser Therapy may help relieve or eliminate pain. With a name like Cold Laser, it’s understandable that a patient might not know what to expect when receiving this treatment. First things first, it’s PAIN FREE! So you don’t need to worry. It’s also important to know that Cold Laser Therapy is approved by the FDA. What to expect: Cold Lasers are a handheld device approximately the size of a television remote. Your Chiropractor will place the laser directly over the affected area for a specific period of time depending on the particular area being treated. Interestingly: During the time the laser is held over the area experiencing pain, the non-thermal photons of light are passing through the skin layers and interacting with your cells. Interestingly, this process can be compared to the way plant cells interact with the sun’s rays in the process known as photosynthesis. In the same way plant cells use the sun’s light to mobilize its cells, it’s believed that the Cold Laser has a similar effect on human cells. This process helps damaged cells normalize so the affected area can heal. The first advantage, and perhaps the best feature of Cold Laser Therapy is it’s noninvasive. This means that there is no surgical incision required to receive this treatment, resulting in no prolonged recovery. There are no medications associated with this treatment. Studies have so far found that Cold Laser Therapy does not have any side effects when properly administered. May be an effective way to eliminate or reduce chronic pain. If you’re dealing with aches and pains in areas outlined in this article, you may experience relief with Cold Laser Therapy. We have had the pleasure of helping countless patients with this therapy and we are confident it could help you too! We’re so confident, that we offer a no charge consultation to see if Cold Laser Therapy is the right choice for you. 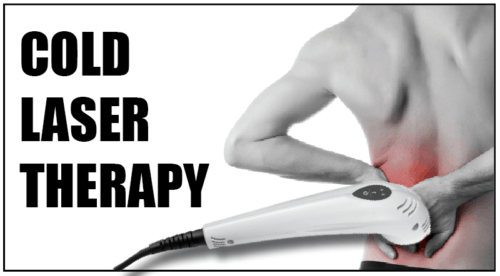 If you live in Brick, Toms River, or anywhere in the Ocean County area, and are in search of a Chiropractor who offers Cold Laser Therapy, the Back and Neck Center of Brick can help. Dr. Koziol has been a Chiropractor in Brick NJ for over 28 years and he and his knowledgeable staff can help! 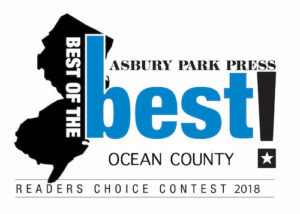 The Back and Neck Center of Brick has been Voted #1 Chiropractors in Ocean County for 9 years in a row! From 2009-2017 by Readers of the Asbury Park Press. Prev Previous post: Spinal Decompression Therapy. Is it a Solution for you?